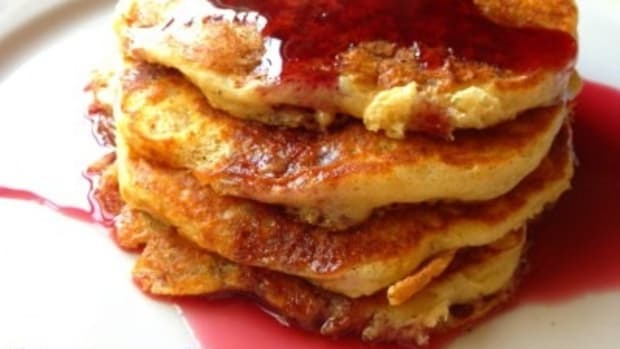 We love nice, hearty, healthy pancakes like these oatmeal pancakes. 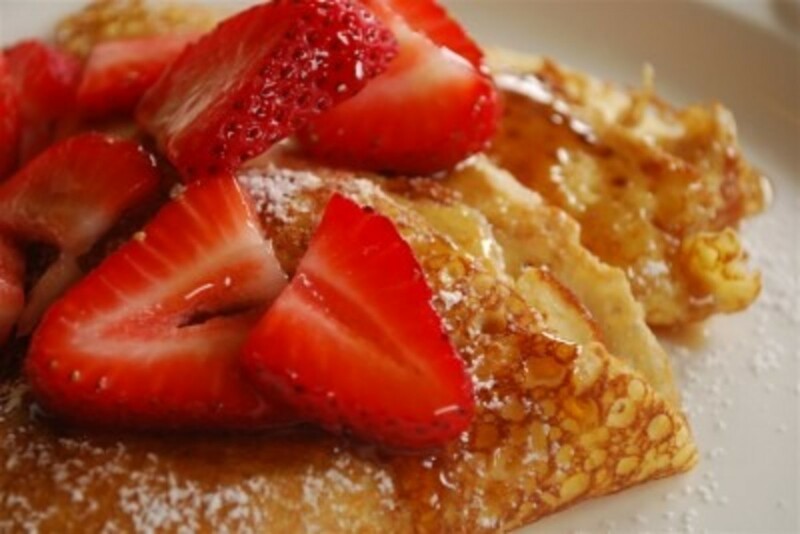 And we love a nice light, delicate pancake like today’s recipe for Swedish Pancakes. I used my trusty old cast iron skillet to make them but any nice frying pan will do. There is just something about cooking in cast iron that I think makes food taste better! The trick to getting a nice smooth batter without a lot of lumps is to use your blender – just toss the ingredients in and blend! 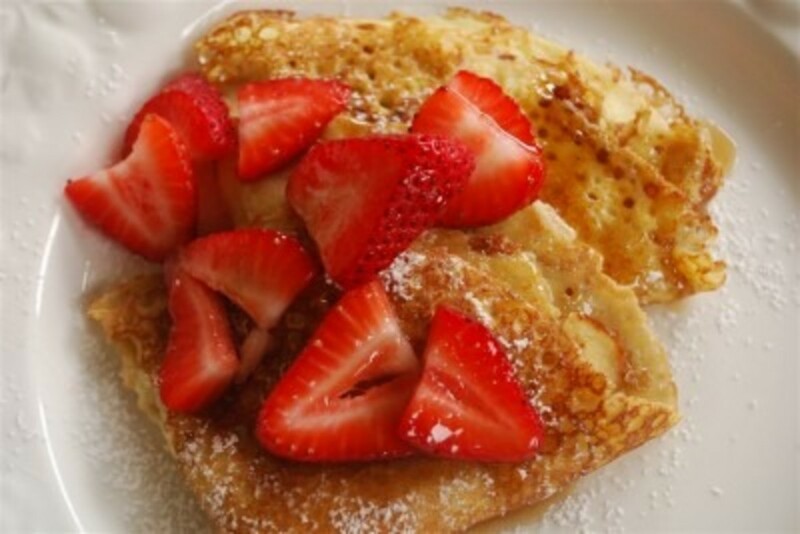 We like to serve Swedish Pancakes with fresh, yummy strawberries, real maple syrup and a sprinkle of powdered sugar. They are just as yummy with powdered sugar sprinkled on top and a squeeze of fresh lemon juice! Swedish Pancakes are more crepe like than pancake like. I am thinking they would also be good with some Nutella and bananas on top! 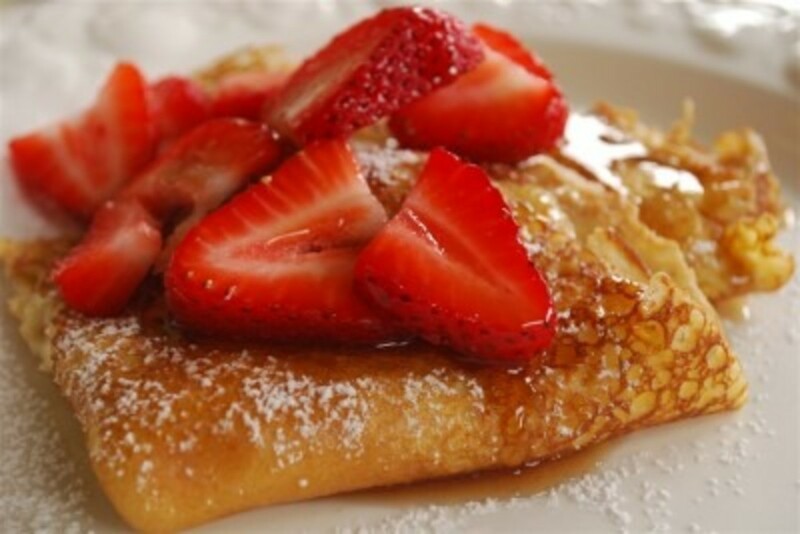 We actually enjoy Swedish Pancakes for dinner as much as we do for breakfast! 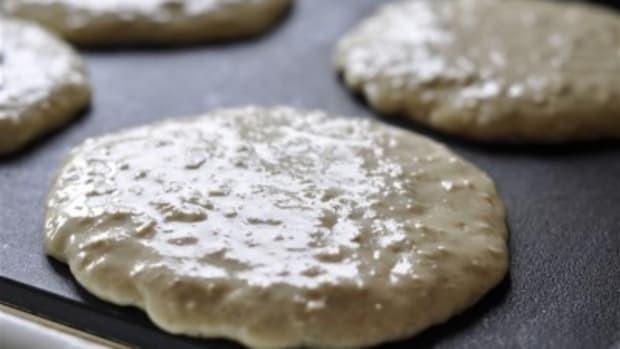 What’s your favorite pancake topping?? Powdered sugar, lemon juice, maple syrup, strawberries for topping. Melt 4 tablespoons butter in a 10 inch nonstick or cast iron skillet. 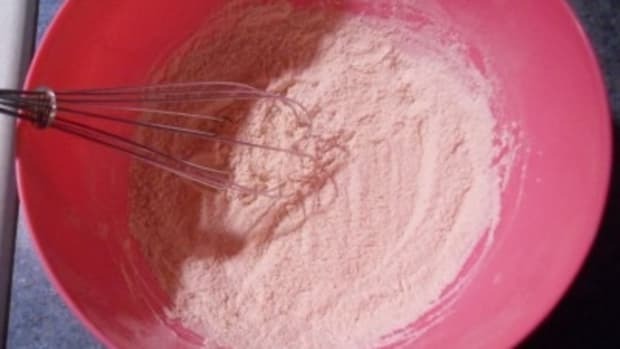 Combine the flour, milk, eggs, melted butter, vanilla and salt in a blender and blend until smooth. Heat oven to 200 to keep cooked pancakes warm while you continue cooking additional ones. Heat skillet over medium heat or until a drop of water sizzles in the pan. Add 1 tsp butter, coat the pan with melted butter. Pour a scant 1/3 cup of batter and quickly swirl the pan to evenly coat the bottom. Cook until the pancake sets, about 1-2 minutes. 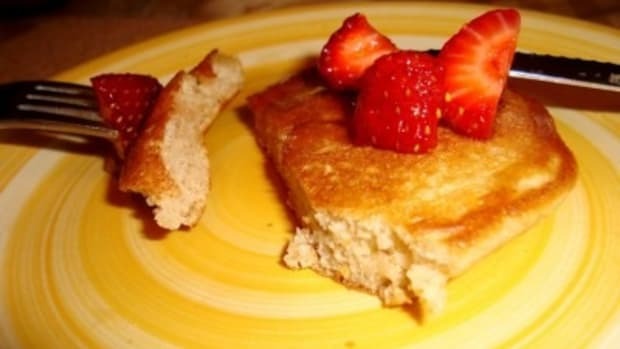 Using a spatula, lift the pancake by the edge and turn; cook until lightly golden on the other side, about 15-30 seconds. Transfer to a plate and keep warm in oven while making the others. 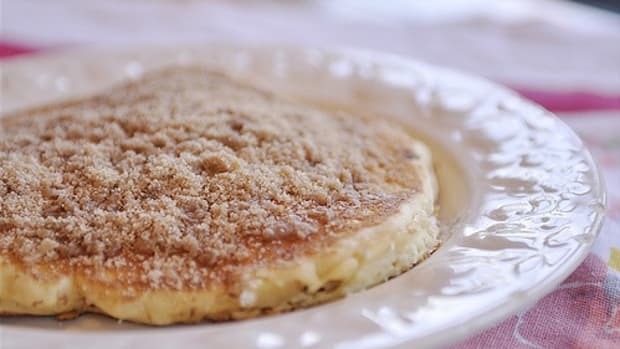 Repeat with butter and batter – will make about 12 pancakes (depending on the size of your pan) If the batter seems too thick, thin it with a bit of warm water. 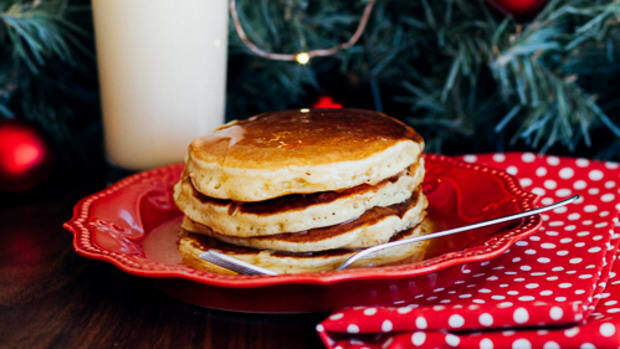 You can serve the pancakes, flat and open or I like to fold them into fourths – they look prettier that way! 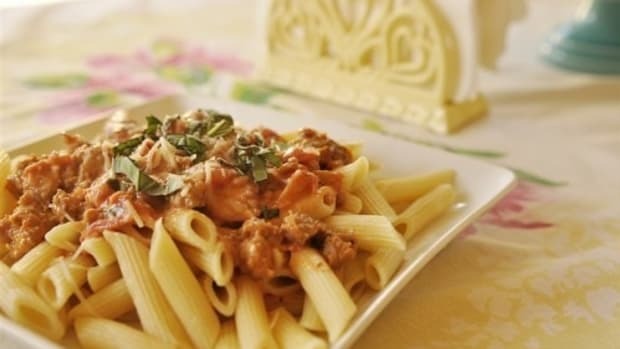 As I was doing a little blog surfing a few weeks ago and I came across a recipe that stopped me in my tracks. 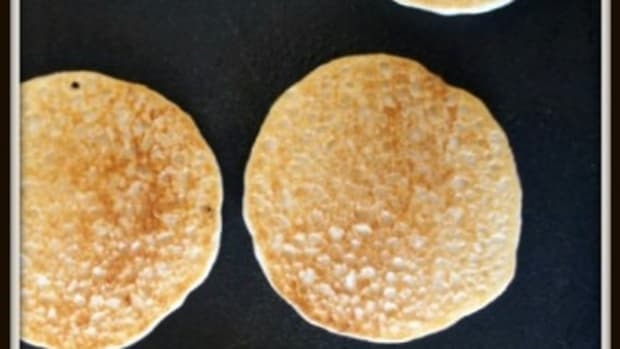 My kids love freshly made pancakes but I hate mixing them up in the morning when we are short on time. I hate the pancake mix that rhymes with Miss Quick.